China now faces the difficult task of continuing reforms that unleash the power of the market, while also enabling the government to play an economic leadership role and enhance social security. 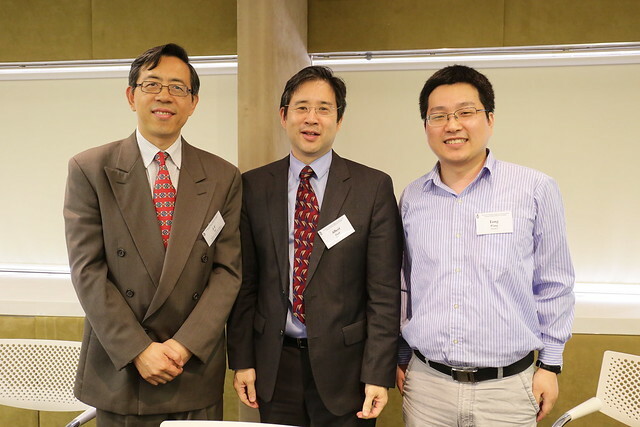 At the April seminar co-organized by HKUST Business School and HKUST Institute for Emerging Market Studies (IEMS), two speakers examine how China is tackling this fundamental challenge in different sectors of the economy. Despite lower productivity, China's state-owned enterprises (SOEs) became more profitable than non-SOEs around 2001. Prof Yong Wang of the Department of Economics and HKUST IEMS will show how SOEs monopolized key upstream industries and, during structural change and globalization, extracted rents from the liberalized downstream industries. The seeming prosperity of SOEs is presented as a symptom of reform incompleteness that jeopardizes China's chance to escape the middle-income trap. Download Prof Wang's presentation slides here. In recent years, China’s labor market has been characterized by rapidly rising wages and increasing labor regulation. Prof Albert Park, Director of the HKUST IEMS and Professor of Economics, assesses changes in demand and supply for workers of different skill levels, the impact of new labor regulations, and China’s success in creating a more inclusive labor market that makes good job opportunities available to workers throughout the country. Download Prof. Park's presentation slides here.